As a companion article to a previous post on the usage of the title of Don, this article explores who were the principalia in each pueblo as well as what the functions of these people were. Although the so-called principalia in each town were light years away from the privileges that the Super-principalia families of Lakandula, Matanda, Soliman, and Mojica received from the Spanish authorities, these municipal functionaries were still better off compared to the rest of their town-mates. In fact, it was the distinction between the principalia and non-principalia in several archival documents that made me more determined in helping ordinary families trace their ancestries. Consider this: in census and tribute-related records during the Spanish period, the Spaniards usually would say something like this, and the inhabitants of the town of (town's name) are Gobernadorcillo Don so and so and his wife Doña so and so and first-born son Don so and so, Cabezas de barangay Dons so and so, their wives Doñas so and so and their eldest sons Dons so and so...and the rest of them. The REST OF THEM (los de mas). While the principalia members are clearly enumerated one by one with their wife and heir, the remaining members of society, the ordinary indios who toiled the fields day and night who had no voice in local governance, were collectively mentioned as the nameless "rest of them". For some reason, many people become interested in tracing their family trees because of some passed down tales of prominence in their hometown. I wasn't immune to this thirst for principalia forebears. 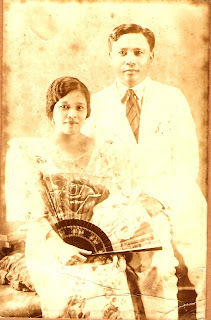 In fact, my late maternal grandfather told me amazing stories of his relatives and how prominent they were in the town of Argao that I had no choice but to search for these famous relatives, which after more than 20 years of tracing my maternal line has revealed a wide array of amazing information, and I discovered that almost all my traceable ancestors on my mother's (and some on my father's) side of the family held the titles of gobernadorcillo, cabeza de barangay, fiscal, among many other titles. Of course, I have not really focused too much attention on this aspect of my family history, but in the course of my research I have become more or less almost an expert on the principalia. To the average beginner, one might ask who or what is a principalia (also principal or principales). A simplistic definition of the term is that they were the privileged class in each town during the Spanish period. And their privilege was derived from the simple fact that their forebears were the ruling elite when the Spaniards conquered the archipelago. As a compensation to the native rulers the Spaniards created the principalia class to create a ready and direct link between the people and the colonial administration. Throughout the 333 years of Spanish colonization of the Philippines there were several times when the functions of the principalia were redefined. However, for the most part of the history of the principalia the group was composed of more or less the same people. 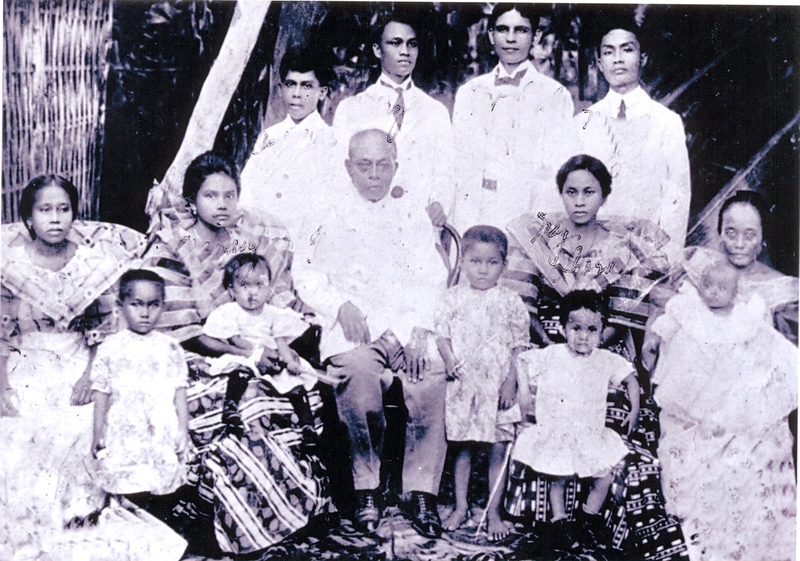 A principalia family from Argao, Cebu, c. 1890s. According to Padre Juan Ferrando, O.P., a former Rector and Chancellor of the Royal University of Santo Tomas in Manila, in his work Historia de los PP Dominicos en las Islas Filipinas y en sus Misiones del Japon, China, Tung-kin y Formosa, the institution (principalia) . . . was much more ancient than the conquest of the Islands by the Spanish Crown. They were the true aristocracy, and the heirs of hereditary leadership that constituted the true nobility. The authoritative Blair and Robertson compendium defines the principalia as "being composed of the actual cabezas de barangay, ex-cabezas de barangay, current and past gobernadorcillos (the latter called capitan pasado)." Dr. Norman G. Owen in an article exploring the Bikolano principalia, and perhaps also the only comprehensive discussion on the principalia to date, wrote that "in most cases the term "principal" was essentially political (or sociopolitical) in content. The term and usage was considered absolute, not relative, unlike our term "upper class" today. There might have been variation in application from scribe to scribe, but each of them seemed to have had a clear idea of who was, and who was not, entitled to be called a Don; rare is the document in which either everyone or no one receives this title. It is clear that the principalia did have a strong economic base, as we shall see; there is a sense in which a poor principal is almost a contradiction in terms. Yet before a wealthy man could obtain recognition as a principal he had to transmute this wealth, by a process difficult to document but not to imagine, into political and social currency. Former President Jose P. Laurel in his book about the history of local government in the Philippines, further elaborated on the composition of the principalia as being composed of: the gobernadorcillo; the chief of police; the lieutenants of police, field, and large cattle; the former gobernadorcillos; the cabezas de barangay in office and those who had been such for a period of ten years without any bad record. Although these additional individuals were not necessarily principalia, they were elected together with the gobernadorcillo and were most likely from the principalia families. Naturally, this included all the wives and first born sons. The reason why the eldest son was also given preferential treatment, aside from the common practice of primogeniture, was because he was also deputized to assist his father in tax collection. In some other sources there were also tenientes and awardees of the Medal of Civil Merit that were included in the composition of the town's principalia. Also assisting the principalia were the Directorcillo (sometimes called an Escribano), the Vacunadorcillo, the two Testigos Acompañados, and the Alguaciles. And while all but the alguaciles held the title of "Don" it is unclear if they were actually members of the principalia or simply auxiliary to the body. And here is where I want to caution researchers who are captivated by the idea of tracing principalia ancestors because of the promise of being descendants of native nobility. While the earliest gobernadorcillos, cabezas de barangay, and other members of the principalia were without question descendants of datus, rajahs, and lakans, the so called principalia later in the end of the 18th century and beyond were no longer from the same breed. According to Horacio de la Costa, the first Filipino Provincial Superior of the Society of Jesus in the Philippines and a recognized authority in Philippine and Asian culture and history in his book Asia and the Philippines, "the barangay had almost disappeared as a kinship group by the end of the 18th century; what continued to be called by that name was merely a territorial or even an arbitrary grouping of tribute-paying families, and the cabeza de barangay merely a member of the municipal council charged with collecting their tribute. Thus, cabezas de barangay and even capitanes del pueblo no longer had in many towns the social ascendancy they used to have in earlier times." Historian Michael Cullinane also hints of this in his article in the book Population and History: he wrote that the municipal magistrates, who were collectively called the principalia, initially descended from indigenous barangay headmen, called a datu. The exclusivity of the principalia being reserved only for descendants of native nobility clearly started to change due to several reforms: on December 20, 1863 an educational reform stipulated that "proficiency in the Castilian language, written and spoken, was necessary for those considered to be raised to the rank of cabeza de barangay, which formed the base of the principalia. Dr. Owen further discovered in his research that "the spread of new settlements throughout 19th century Kabikolan might have diluted principalia power, but in some cases there is evidence that principales sponsored, protected, and even led these settlements". Someone paying $50 land tax. Says Dr. Owen: "outside the narrowly economic sphere, the principalia also exercised the kind of predominance that tends to reinforce the theory that they descended from datus. Within the municipality they were largely free to do as they wished, so long as they turned over the requisite taxes and manpower to the government. . .Collectively, the principalia would not hesitate to defy either the priest or the alcalde (though usually not both) if they felt they had a good case to argue higher up; so long as they made no outright declarations of rebellion, Manila would not send in troop, and provincial authorities were weak on coercive power". Collectively, the principalia had numerous duties imposed upon them by the Ordenanzas de Buen Gobierno. Sections 54 and 92 required them to be in charge of the construction of casas reales (municipal buildings), churches, jails, and other public works, like repairs of roads and bridges. They also had other functions, such as the extermination of locusts (according to Article 58), the persecution of gamblers (Article 29), and other police duties like patrolling and placing of guards (Article 27). And of course, the true raison d'être of the principalia: they had to supervise the collection of taxes, making of the census of the poblacion (again, to know who must pay taxes), and the preparation of the lists of polos y servicios. According to University of the Philippines professor Jose N. Enriga, "the cabeza de barangay's main responsibility was to look after the peace-and-order situation of his barangay, to see the enforcement of the polos y servicios (forced labor), and to collect the tributes of the inhabitants of his jurisdiction. In this capacity as tribute collector, he was then an agent of the Royal Hacienda which required him to post a bond, in the form of goods and property, which were confiscated in case he failed to remit his collections within the allotted time. As compensation for his responsibility, the cabeza was entitled to one and a half per cent (1.5%) of his tribute collection. He, his wife, and eldest son were also exempted from paying tribute and from rendering the polo y servicio. His family was also entitled to use Don/Doña and given preferential treatment during ceremonies. The Gobernadorcillo, or petty chief, on the other hand, was the head of the pueblo. He was both chief executive and judicial officer. In cases involving small sums of money and in petty criminal cases, the Gobernadorcillo’s judicial authority was final. In cases of bigger importance, he was supposed to make preliminary investigation and forward his findings to the alcalde mayor or the provincial governor. The Gobernadorcillo was in charge of the collection of all manner of taxes and saw to it that the townspeople were productive. Just like the cabeza, he received one and a half per cent of his collections, was addressed as Don, given special treatment, and received a salary of two pesos per month." The other major positions in the Spanish-era principalia structure were the Teniente Primero or the Teniente Mayor and the various Juezes who were elected together with the Gobernadorcillo. The Teniente Primero was, as the title suggests, the First Lieutenant of the Gobernadorcillo. This position has the modern-day equivalent of a Vice-Mayor, except, according to the job description of the Teniente Primero, he was also the head of the Alguaciles or local police, although this function was later taken over by the Juez de Policia. While there have been varying numbers of Juezes elected in various elections in the town’s history, it is generally accepted that there were three primary Juezes who were always present in almost every election: the Juezes de Policia, Sementera, and Ganados. The Juez de Sementera was the Superintendent of Fields and was in charge with the general conduct of planting and harvesting. The Juez de Ganados, on the other hand, was the Superintendent of Livestock. A third addition was made sometime in the mid-1800s in the office of the Juez de Policia, who functioned as the Chief of Police and supervised the local police, or the Alguaciles. 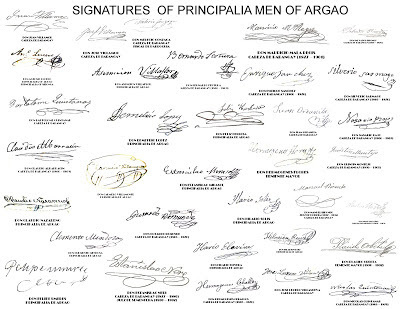 The Alguaciles were, loosely speaking, still members of the Principalia, as they were elected together with the other town officials prior to 1863. After 1863, however, the Alguaciles were probably elected separately, and were drawn from the non-principalia families already. Other positions were related to specific products of the town, for example the Juez de Algodon and the Juez de Cacao; these were abolished once the town’s cotton (algodon) and cacao productions dwindled. Other offices were probably appointed, such as the Directorcillo, whose function was to handle all municipal business transacted in Spanish including official reports and generally acted as the secretary and clerk of the gobernadorcillo. The title was later changed to Escribano. Then there was the Vacunadorcillo, who was the general Health Officer of the town, and was also exempt from the polo y servicios and the tributo. Finally, the two Testigos Acompañados, which was later changed to Suplentes, were always part of the town officials, and acted as official witnesses to all municipal transactions and documents. As always, I would like to end this discussion with the advice that genealogy is far better and more enriching if the focus is not simply on the superficial aspects of life, such as focusing simply on tracing principalia ancestors in the hope of finding noble ancestry. What if one discovers that his family's membership with the principalia happened only much later in the Spanish period, thus indicating non-descent from the native nobility? The researcher would seriously be disappointed. That is why, when tracing family trees, one should look at the general picture, of the journey of one's ancestors, and the family's ability to survive and adjust in every passing generation. Report of the Philippine commission to the President, January 31, 1900-December 20, 1900. Jose P. Laurel, Local government in the Philippine Islands. Manila: La Pilarica press, 1936. Emma Helen Blair and James A. Robertson, The Philippine Islands: 1493-1898, Cleveland, Ohio: The A. H. Clark company, 1903-09. Dr. Norman G. Owen, "The Principalia in Philippine History: Kabikolan, 1790-1898", Philippine Studies Vol. 22, No. 3-4. Manila: Ateneo de Manila, 1974. Michael Cullinane, "Accounting for Souls: Ecclesiastical Sources for the Study of Philippine Demographic History", Population and History: The Demographic Origins of the Modern Philippines. Quezon City: Ateneo de Manila University Press, 1998. Fr. Juan Ferrando, O.P., Historia de los PP Dominicos en las Islas Filipinas y en sus Misiones del Japon, China, Tung-kin y Formosa, Madrid: 1870. Jose N. Enriga, “Stability and Change: The Civil Service in the Philippines.” An Introduction to Public Administration in the Philippines: A Reader. Quezon City: UP College of Public Administration. 1993. Horacio de la Costa. "The Formative Century, 1760-1860," Asia and the Philippines, Manila: 1967. You might want to include a reference to my article in Philippine Studies (1974): "The Principalia in Philippine History: Kabikolan, 1790-1898." As far as I know, it's the first (and still the only) study to look at how the "principales" were defined in 19th century practice, rather than according to distant law. Thanks! Will try to see if I can get a copy of it. Already got an online copy. Wow. 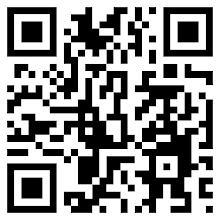 I keep forgetting how much stuff is now online, and how quickly it can be retrieved if you know what you're looking for. FWIW, I think I was the first one to use the term "super-principales" - I was trying to avoid the somewhat misleading "ilustrados," which stresses education rather than position and power. Apparently "super-principalia" has now seeped into the discourse! I do believe you were the first to use Super-principalia. I think I got the term from a 1990 article by Luciano P.R. Santiago. Just finished reading your article. Superb work! I wish I had found this earlier. But I've incorporated some of your work into the article; hope you don't mind. 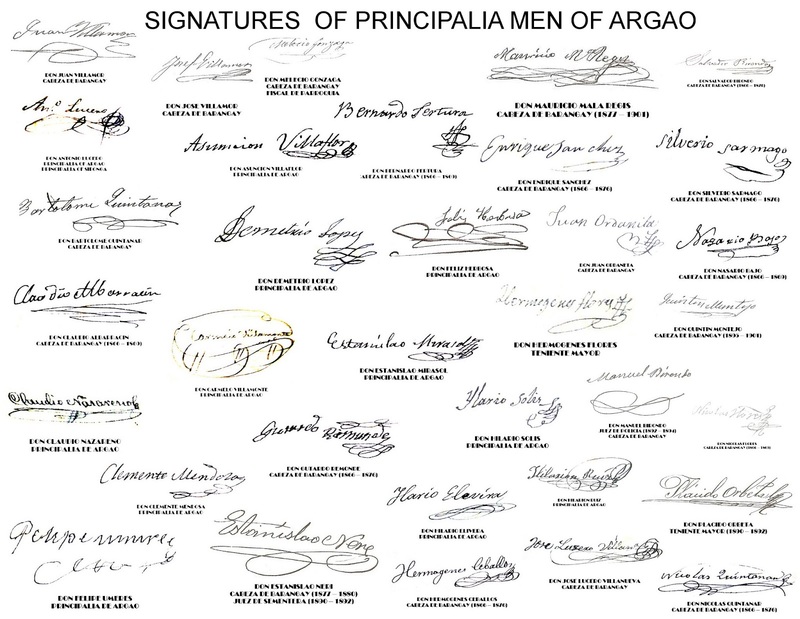 I have also done an extensive research into Argao's principalia but I think I still have some fine tuning to do before I try submitting it for publication. Hi Todd l want to know if my family the Pepito of northern cebu were descended from the ancient nobilities. As far as I know they were principalias. Well, if they were principales there is a chance. There really is no clear-cut way of proving it unless you can see them being principales for more than 3 generations.